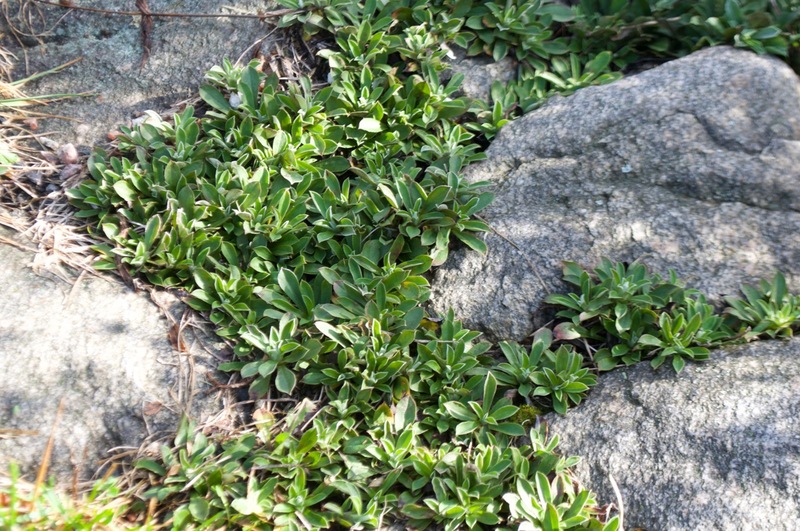 Height: Very low ground cover, Flower stalks to about 15 cm.. Growing Conditions: Full sun. Lean dry soil. Good in larger rock gardens – too quickly spreading for troughs or alpine gardens. Wildlife benefits: Host plant for caterpillars of American Painted Lady Butterflies. Yes, the leaves will, some years, look chewed by mid-summer, but they always recover. Enjoy the butterflies. Remarks: The smaller of the two common pussytoes for our area. Back to Plants home. More Butterfly Host Plants.